Through more than 300 glorious illustrations from library collections around the globe, you'll discover a wealth of book lore in these pages and gain a new appreciation for the role of books in human society, from our earliest attempts at writing and recording information to the newest electronic books; from sumptuous illuminated and bejeweled medieval manuscripts to Gutenberg and the invention of movable type; from the diverse arts and crafts of bookmaking to the building of magnificent libraries for housing treasured volumes; from the ancient epic of Gilgamesh to the plays of Shakespeare and the tales of Beatrix Potter; and from the earliest illustrated books to revolutionary science texts. 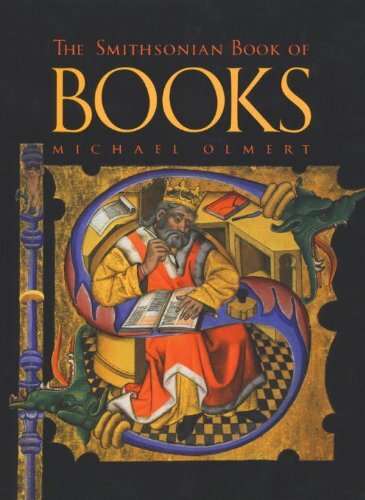 <b>Michael Olmert</b> is the author of <i>Milton's Teeth and Ovid's Umbrella</i>. <b>Christopher de Hamel</b> is Donnelley Fellow Librarian, Corpus Christi College and former curator of Western and Oriental manuscripts at Sotheby's.